Oscar Rivas needed the KO, and he got it in the final round. For the majority of 11 rounds, Bryant Jennings out-worked, out-landed, and out-boxed Oscar Rivas. All he needed to do, it seemed, was get through the 12th and final round, which would secure his standing with the WBO near the top of their rankings, and he’d be right in line for another world title shot. Rivas (26-0, 18 KO) came out ferociously to open the final frame, dropping Jennings (24-3, 14 KO) early in the round. Jennings, clearly a bit shell-shocked, got up at a count of nine, but the Philadelphia native found himself against the ropes again in short order, with the former Colombian Olympian, now fighting out of Montreal, unloading shots. Referee Gary Rosato stepped in and called a halt to the fight at 54 seconds of the 12th round, and shockingly, Rivas remained undefeated, and probably ended the world title dreams of the 34-year-old Jennings for good. Instead, it may be the 31-year-old Rivas who finds himself in line for a world title opportunity sooner than later. He showed a lot of flaws in this fight, but also confirmed his knockout power and fighting spirit. 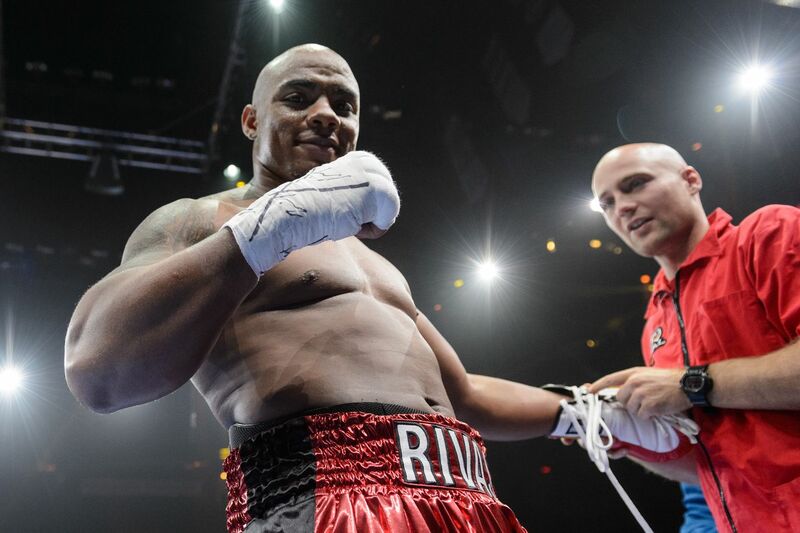 For the fight, Rivas landed just 80 of 434 (18%) of his total punches, and 45 of 152 (30%) of his power punches. Jennings out-landed him, connecting on 113 of 455 (25%) of his total punches and 60 of 195 (31%) of his power shots.